Having a few sets of charged-up batteries is one of the basic parts of any emergency preparedness plan. For years now, designers have been trying to figure out the best way to modify the traditional battery design to make it storable and always ready to go. Qian Jiang may have nailed it with this clever idea. 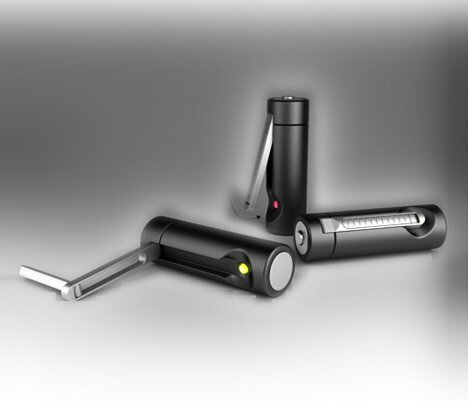 The Wind-Up Battery can be used either with or without power. When everything is normal and there are no emergencies, they slot right into a standard battery charger. But it’s when the power goes out that the batteries really show how useful they are. 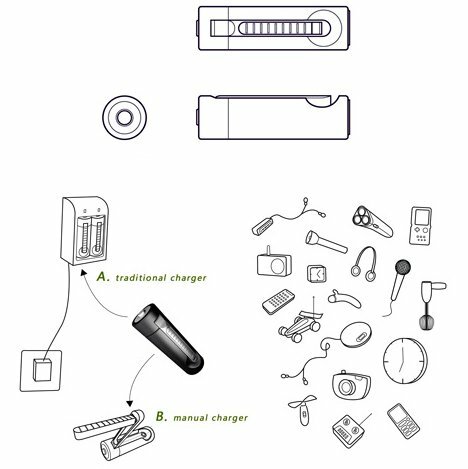 A pop-out hand crank allows you to juice up the batteries by turning it around and around. An internal dynamo generates electricity from the crank’s movement. The folding crank fits flush against the battery when it is not in use. 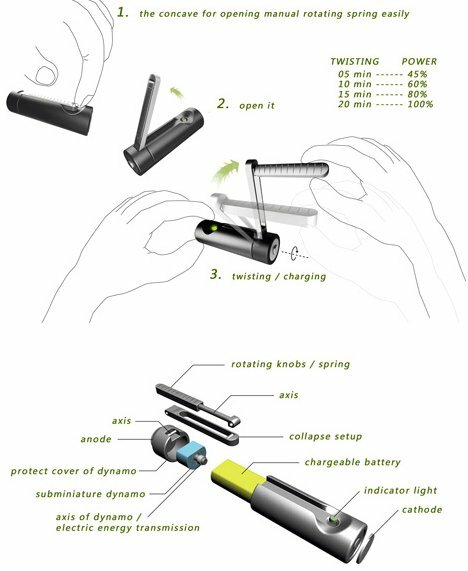 The designer envisions these batteries coming in standard AA and AAA sizes, so when they are charged they could simply slide right into batteries, radios or other necessary gadgets. See more in Unbuilt Concepts or under Technology. March, 2012.